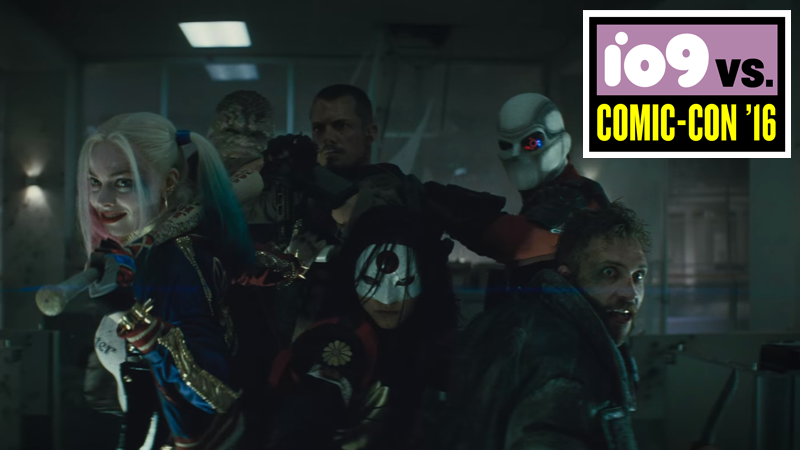 DC’s next film opens in just a few weeks, but the cast showed up in Hall H at Comic-Con to debut this final look at the supervillain team-up film Suicide Squad. Weirdly, it’s a much more in-depth look at the squad than we’ve seen before. Plus, in the tradition of many films that have come before it, it also includes a new Rick Ross song. Directed by David Ayer, Suicide Squad opens August 5. It stars Jared Leto, Margot Robbie, Will Smith, Viola Davis, and Joel Kinnaman. *Correction: The song is by Rick Ross, not Will Smith as previously, and hilariously, first reported.